Hand made Dainty Opalite Inverted Teardrop Pendant. This lovely silver Opalite Pendant has a pretty 18mm x 13mm cab and it is approx 3 cm incl bale. It is set in a simple surround to really show off the full beauty of the Crystal. Matching earrings & bracelet are also in stock. Hand made Dainty Opalite Inverted Teardrop Pendant. This lovely silver Dainty Opalite Inverted Teardrop Pendant has a pretty 18mm x 13mm cab and it is approx 3 cm incl bale. It is set in a simple surround to really show off the full beauty of the Crystal. Matching earrings & bracelet are also in stock. 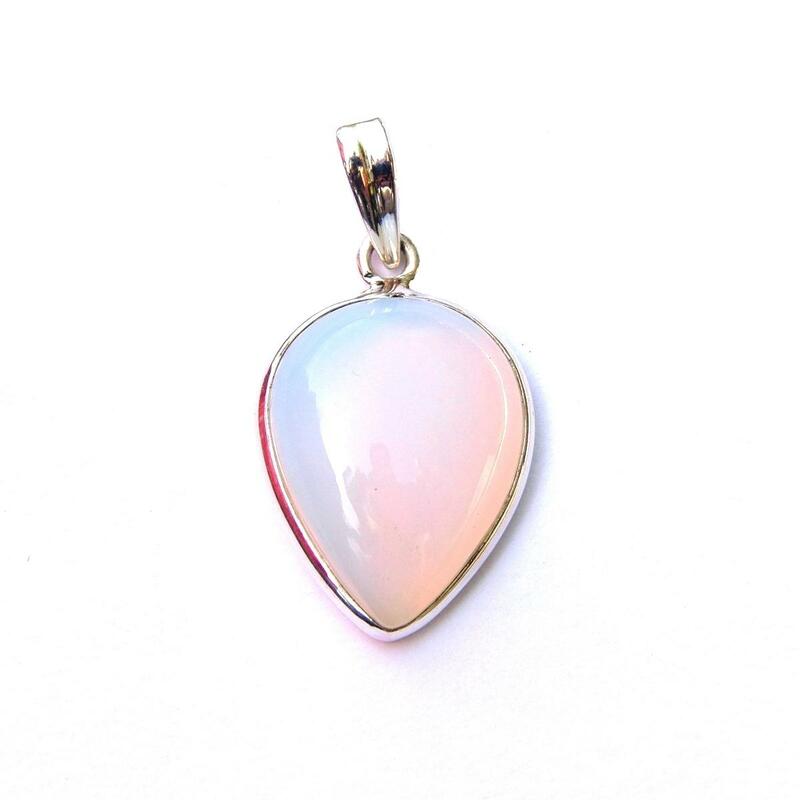 This website is strictly for approved Wholesale customers only, if you are looking to purchase this Dainty Opalite Inverted Teardrop Pendant from a retail store, please visit Shooting Star.